For 30 NT a cup (just a shade under $1) they have 4 different flavors... traditional soy, sesame, caramel, and unflavored soy. Sesame and caramel are obvious, but what's the difference between traditional and unflavored? 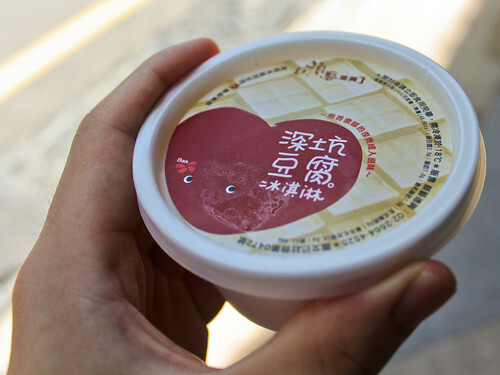 Traditional soy has the flavor of 豆漿 (soy milk). There's a characteristic aroma with soy milk that's been cooked in metal containers, that can only be described as... burnt. I know that sounds awful, but it's essentially a nuttiness that extracts the true earthy tones of soy. A good burnt if you will. 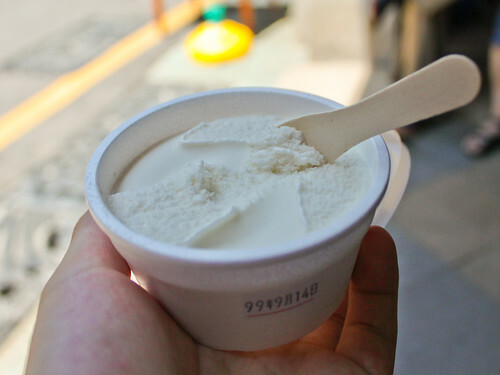 The unflavored is just soy that's been made into ice cream, barren of any redeeming qualities. I don't know why they even bother making it, when I peeked in the case, it didn't appear that anyone had bought any. If you're curious what it looks like, well... I bet you're disappointed. It looks just like vanilla ice cream. Except it tastes like soy, that's slightly burnt. As for what I thought? Caramel actually tastes pretty good, although the subtle flavor is lost in the addition (I assume sesame is more of the same, but I didn't get it). The original actually tastes like tofu, and I guess it's up to personal opinion whether or not that's a good thing, but I thought it was okay. Basically... cool in concept, not jaw dropping by any means. PS - don't be alarmed by the date on the label. I did not eat expired ice cream (although that wouldn't be beneath me either). In Taiwan, it's actually just the 99th year of existence for the Nationalist party. Hm, in retrospect, I shouldn't have mentioned that. It'd be pretty epic if I ate 11 year old ice cream. caramel soy?? sounds...interesting. 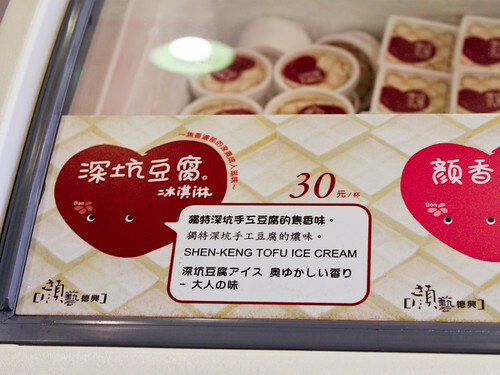 i hated soy ice cream the first and last time i ever ate it. i should probably try it again huh?